This baby bib is easy to make and so practical. You won’t have to change your little one’s clothes after each meal. 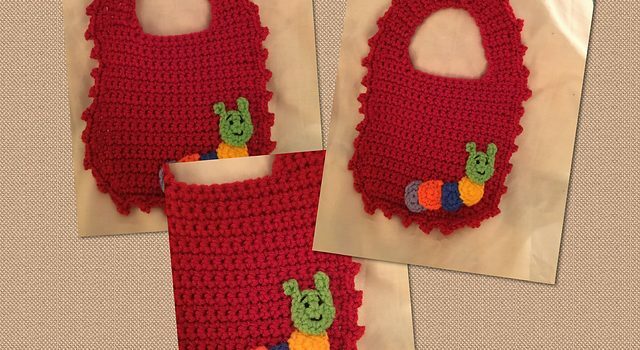 Caterpillar Bib by Rilla Edwards is the perfect gift for all those little, super cute and super messy eaters in your life. The caterpillar will make your baby smiling knowing she/he is about to get something yummy. These Little Lamb Baby Bibs Are Absolutely Adorable! 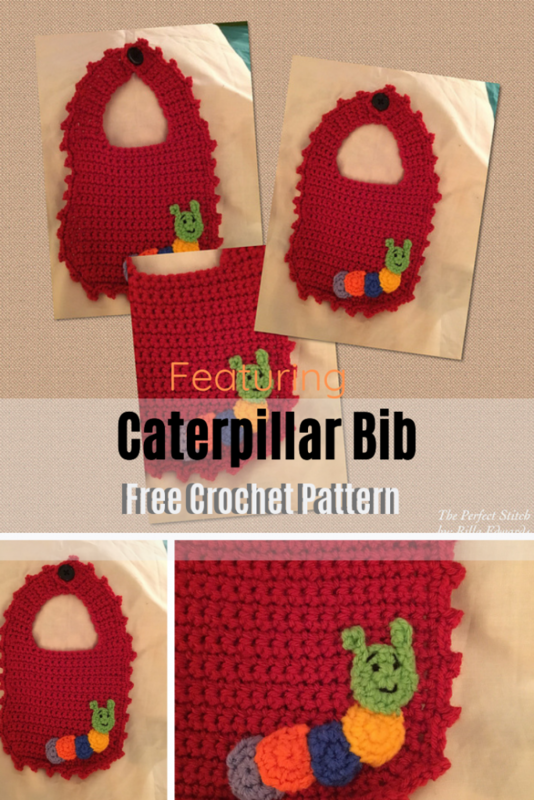 Get the pattern: Caterpillar Baby Bib Free Crochet Pattern. Thanks to Rilla Edwards for the article inspiration and featured image. [Free Pattern] Mollie Flowers Are Adorable! Quick And Easy Poncho Free Crochet Pattern- Perfect For Craft Fair Inventory And Gift Projects!